Cycle Solutions, one of the UK&apos;s leading providers of the Cycle to Work scheme, has reported record growth figures due to the rising popularity of the programme among employers looking to drive up their workforce&apos;s fitness and engagement. The company, which manages the scheme for organisations across the UK including Virgin Active, EDF Energy and H. J. Heinz, has recorded a 33% growth in turnover for 2014/2015. 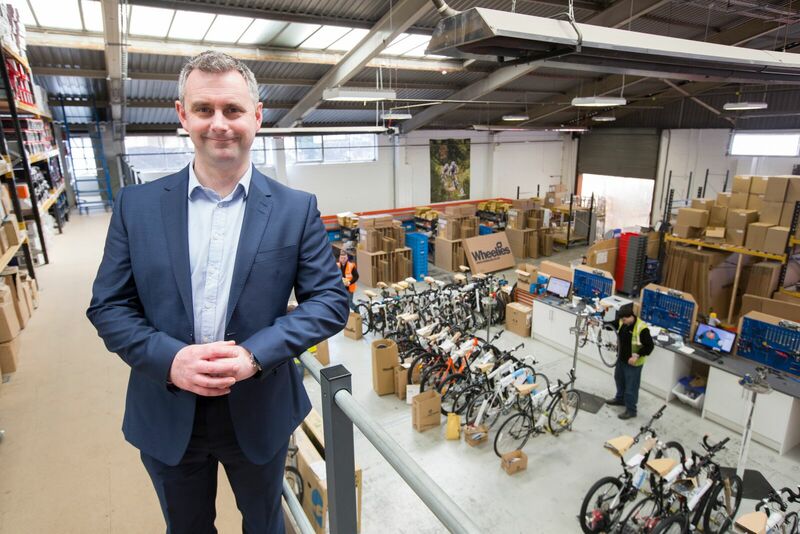 The business, which has been operational for 10 years, works with employers to provide staff with tax-free bikes and accessories to promote a healthier lifestyle and reduce sickness levels. Nearly 200,000 UK employees have signed up to the scheme – which costs employers nothing - this year alone, an 11.6 per cent increase since 2014*. Cycle Solutions forms part of the UK&apos;s leading independent cycling retail groups, which includes online and real-world cycle retailers Tredz and Wheelies Direct. Overall, the group has seen its highest ever sales figures in the last year, reporting a combined 23% increase in sales to achieve a turnover of £31 million in the year to the end of February 2015 with 11% EBITDA growth to £2.3m. The figures follow £1m investment in the companies&apos; websites, online marketing and 30-strong software and web development team. Managing Director of Cycle Solutions, Steve Edgell, said, "Sales in all three companies have grown as a result of the group&apos;s two-year period of investment in our people, premises, colleague development, IT and supply chain. We&apos;ve created 53 jobs - an increase of 26%." "Our Cycle Solutions brand has achieved excellent growth this year, as we&apos;ve strengthened our market presence and identity to be recognised as one of the country&apos;s largest providers of the cycle to work scheme. The scheme is proven to improve employees&apos; health, fitness and reduce sickness absence – and is totally free to employers. "Having the strength of the other cycle businesses behind us means we can offer a massive range of over 550 bike and accessory brands from 6000-strong stock for next day delivery makes Cycle Solutions a strong proposition in a competitive marketplace. "The Cycle to Work scheme is on an upward trajectory as more people than ever across the country take up cycling. We&apos;re now focusing on increasing our market share by improving accessibility for SME employers and our relationships with cycle retailers. We will also be looking to provide a finance hire option for employers who have limited budgets, but still want to reap the benefits of a healthier workforce." Founded by Swansea brothers, Keith and Mike Jones, in 1989, today the group has 259 employees, two dedicated on-site contact centres, software and web development team, workshop and a warehouse facility. It operates from a custom-designed 45,000 ft² warehouse along with office, workshop and storage space and the four retail stores. The group offers a portfolio of over 550 of the leading cycling and triathlon brands.